Could mining Helium-3 from the moon solve Earth's energy problems? Could a rare gas collected from the moon provide the answer to Earth’s energy problems? Many scientists believe helium-3 could provide us with all the power we need for 10,000 years. Even now, NASA and start-ups like Planetary Resources (a venture of James Cameron and Google billionaires Larry Page and Eric Schmidt) are looking into tapping this extraterrestrial resource. For those of you not in the know, helium-3 is a light, non-radioactive isotope of helium with two protons and one neutron. Although it’s relatively rare on Earth, it’s abundant on the moon’s surface, where it is deposited by solar winds. It’s also a potent energy source. Researchers estimate that 25 tons of helium-3 could power the United States for an entire year. 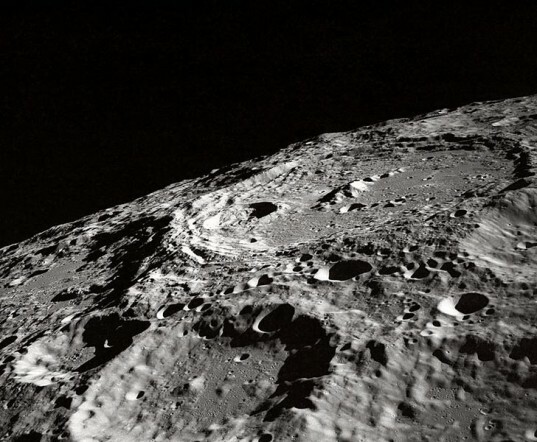 Because of the massive benefits, China has been heavily researching the possibility of lunar mining, and Russia’s S.P. 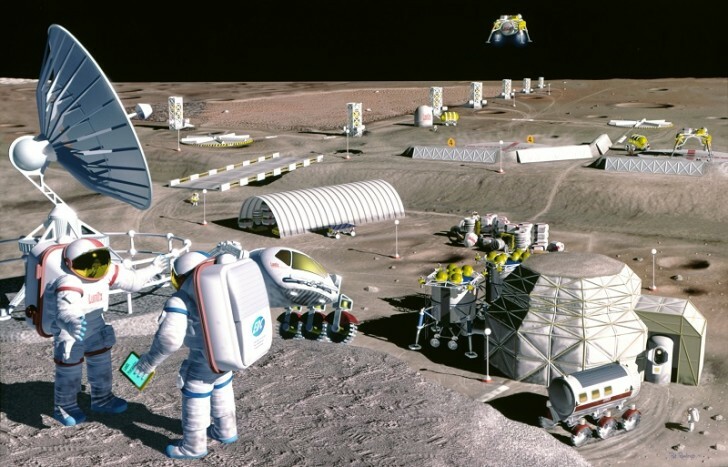 Korolev Rocket and Space Corporation has set a goal of creating a lunar base to extract helium-3 by 2030. Author Chris Orcutt believes helium-3 should become part of the alternative energy conversation. “The more research I have done, the more I believe there is a consensus in the scientific community that helium-3 is a viable alternative,” says Orcutt. “Why are we risking our environment with fracking when we have a huge supply of a viable alternative available to us? And even more puzzling is, how could there be a viable alternative that most people do not even know exists? These are questions for society to ponder. My hope is that my new book will help start that conversation,” Orcutt adds. Whatever the reasons, be it cost or political pressure, the mining of the moon’s surface could be a possibility in the future. The only question is: which country will get there first? It may seem shocking, but electricity only became a household convenience in 1890. Before 1890 there countless of civilizations which survived "off-grid'. Seriously, is there an energy shortage or is there a 'perceived' energy shortage? Hopefully one of the many things this last 'great recession' has taught many of us is how to do more with less. It's only people/ corporate CEO's and people making millions on the dollar who want us to continue wasting natures resources. Mainly, our main water supplies. Truly, this is a situation where the power is in the consumer. It is entirely up to you and what you value most. Do you want to spend hours a month sucking up electricity which is converted from major waterways while spending $20.00 for an 8 oz. recycled sewer bottle of water? Or do you want to just stop introducing even more harmful elements and habits into our limited 'finite' resources? The idea we need to leave Earth to 'solve our energy problems' is a false-flag notion, raised by the alternative energy industry in order to divert money unto their pockets in order to build such solutions. The facts are there is no energy problem, we have sufficient low-cost hydrocarbons and coal for thousands of years. A more useful way to spend any excess money society has would be to ensure the third world can access this energy so it too can grow its way out of poverty on the back of plentiful and affordable energy, just like we did. Chris Orcutt's research clearly didn't include any scientists who actually know what they are talking about. Lunar He3 has three critical problems: We aren't even as close to getting He3-D fusion as we are to D-T fusion, (we may even get p-B fusion before He3-D and p-B is far superior). He3 concentrations on the moon are very low, getting it would involve strip mines the size of small countries. and most importantly: It takes more energy to ship He3 from the Moon to the Earth than it would to _make_ He3. Are there reasons to use naturally occurring He3 as an energy source? Yes, but powering things on Earth isn't a reason and the Moon isn't the place to get it. p-B doesn't have the neutron emitting side reactions and the supply of boron dwarfs that of He3.